Senator Fasano and Senator Looney address the press before the Senate vote on the bipartisan plan. Hartford – Today members of the Connecticut General Assembly passed a bipartisan deficit mitigation plan to close the fiscal year 2016 budget shortfall of $220 million. The plan will restore hospital funding in full, preserve town aid, and protect funding for core social services. The compromise legislation was negotiated between legislative Democrats and Republicans and Governor Dannel P. Malloy’s budget office. “It’s extremely challenging to fix a budget with only a few months left in the fiscal year. 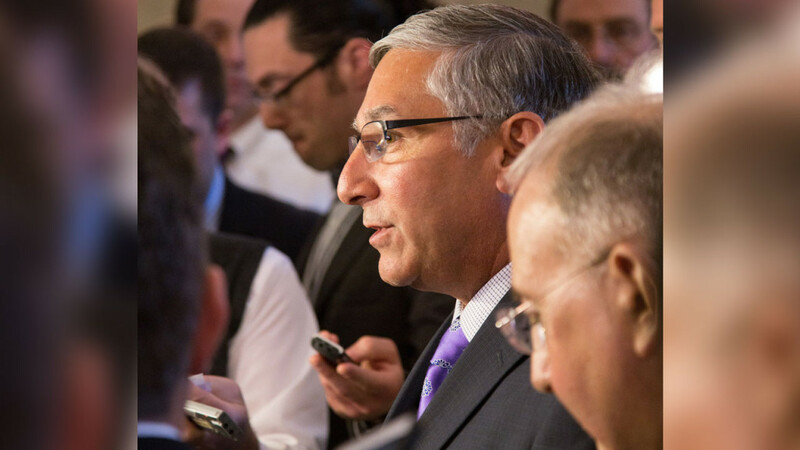 However, thanks to the hard work of our leaders, senators, representatives and staffs, as well as the governor’s office, we have a comprehensive solution that includes ideas from both sides of the aisle,” said Senate Minority Leader Len Fasano (R-North Haven). “I firmly believe the best legislation is that which has bipartisan input. Only when we explore a problem with multiple different perspectives can we fully understand the issue and therefore achieve a complete solution. I applaud the governor for calling on lawmakers to work together. I applaud my Republican colleagues for putting together a solid proposal to start the conversation. And I applaud the Democrats for sharing their ideas and working together to put forward legislation that is reflective of all parties. This bipartisan package will preserve funding for the most vulnerable in the state, protect our towns from painful cuts, restore funding to our hospitals to care for the sick and elderly, and make the appropriate level of cuts to balance the budget and initiate savings for future years,” said Fasano. Closes the state’s $220 million current year deficit as estimated by the governor’s office and state comptroller. Restores all $140 million in hospital funding, of which the state’s portion is $31.6 million, which was previously being withheld. This funding is partial reimbursement for hospitals’ Medicaid expenses and the care they provide to those most in need. Preserves core government services and protects funding for many vital social services. Eliminates proposed cuts to town aid. Replaces the governor’s rescissions proposed on March 16. Is made up of approximately 60% in budget cuts that can be rolled out into future years for long-term savings.